Many of St Theophan’s books have been translated into English, and are reliable spiritual guides for Orthodox Christians of today. 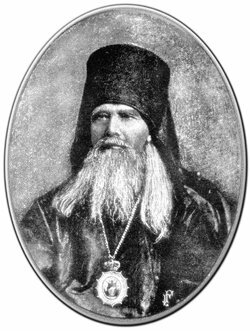 St Theophan’s gift was the ability to present the wisdom of the Fathers in terms which modern people can understand. Since he lived close to our own time, many readers find his books “more approachable” than the earlier patristic literature. He treats the life of the soul and the life of the body as a unified whole, not as two separate elements, and reveals to people the path of salvation. You regret that the Jesus Prayer is not unceasing, that you do not recite it constantly. But constant repetition is not required. What is required is a constant aliveness to God – an aliveness present when you talk, read, watch, or examine something. But since you are already practicing the Jesus Prayer in the correct manner, continue as you are doing now, and in due course the prayer will widen its scope. Share the post "Regretting the Jesus Prayer"